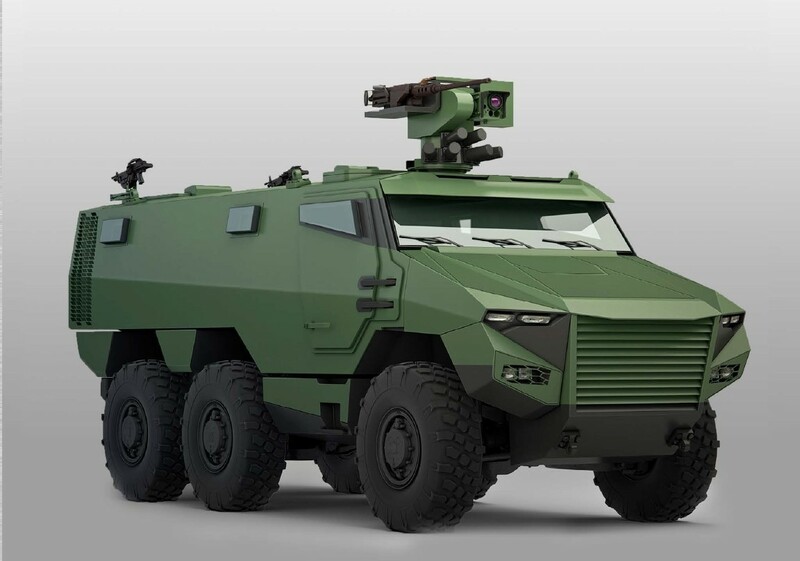 According to Defense-aerospace.com, in line with the development of the Jaguar and Griffon vehicles ordered in December 2014, the Directorate General of Armaments (DGA) on April 21 awarded Nexter Systems, Renault Trucks Defense and Thales a contract for the first 319 Griffon and the first 20 Jaguar armored vehicles, as part of the Scorpion program for the renewal of the combat capabilities of the Army. This order also includes logistics and training support systems. In accordance with Jean-Yves Le Drian’s decision to modernize the armored component of the ground forces, the Military Programme Law provides for the delivery of the first Griffon in 2018 and of the first Jaguar in 2020. During the development phase, the workload of the Griffon-Jaguar projects supports nearly a thousand highly-skilled direct jobs. This will increase to more than 1,700 direct jobs during full production, starting in 2020. Scorpion will renew the army’s first-line combat capabilities around two new armored vehicles, Griffon and Jaguar, and a unique information and communication system, SICS, which will allow the networking of all players in land combat. 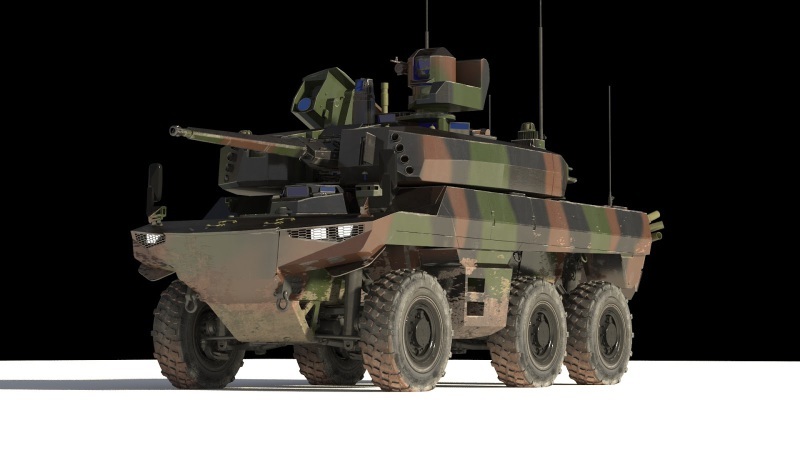 Scorpion also integrates the acquisition of light armored multi-role vehicles, the upgrade of the Leclerc tank and modern combat training systems using simulation and virtual reality. Griffon is a multi-role armored vehicle (véhicule blindé multi-rôles, or VBMR) designed to replace the Véhicules de l’Avant Blindé (VAB). It is a 6×6 armored vehicle weighing approximately 25 tonnes and equipped with a remotely-controlled weapons station. It will be available in several versions (troop transport, command post, artillery spotter and medical evacuation). Jaguar is a 6×6 armored reconnaissance and combat vehicle (engin blindé de reconnaissance et de combat, or EBRC) weighing about 25 tonnes intended to replace the AMX10RC and Sagaie wheeled light tanks as well as the VAB variant armed with HOT missiles (designated Mephisto). It will be equipped with the 40-mm automatic cannon with cased telescopic ammunition jointly developed by France and the UK, the MMP medium-range missile and a remotely-controlled weapon station. In addition to Nexter Systems, Thales and Renault Trucks Defense, the program also involves Safran for optronics and, for the Jaguar’s weapons fit, CTA International for the 40-mm gun and MBDA for the MMP medium range missile. The Armed forces require real-time access to ever more reliable imagery. 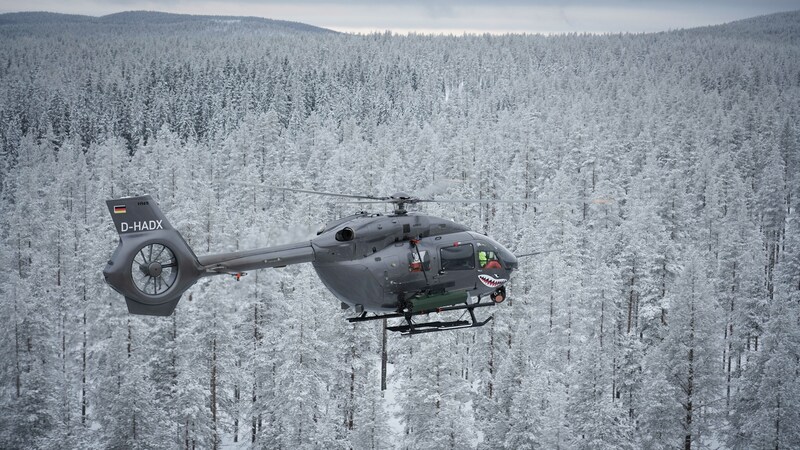 Spy’Ranger will provide them with a decisive tactical advantage by offering the capacity to observe day or night, for long periods of time and at a distance of up to 30 km. Spy’Ranger is used in particular to carry out the following missions: provide support to a combined arms tactical group maneuver or to an offensive reconnaissance mission; provide a cover mechanism, support the neutralization of strong points and contribute to firing maneuvers by providing a «remote airborne eye» able to adjust shooting rounds on a target. 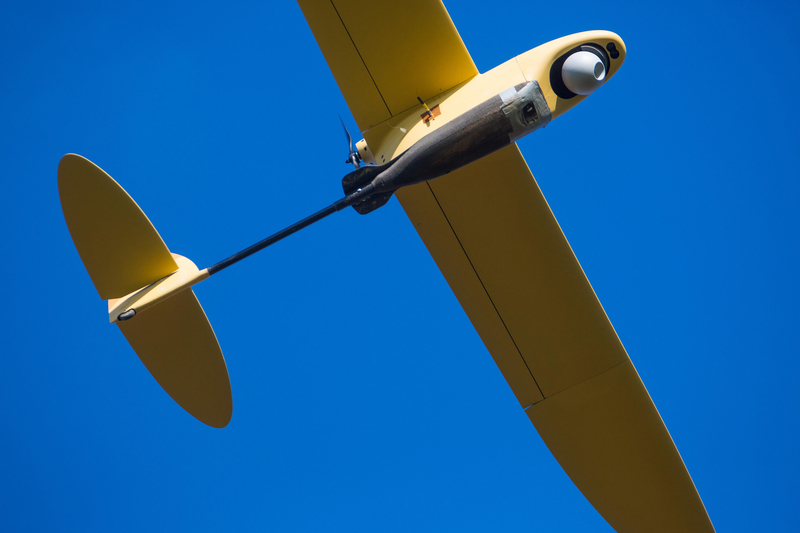 Developed by Thales in cooperation with French SMEs Aviation Design and Merio in under 13 months, Spy’Ranger will offer French Forces a number of innovations that provide real capability gains. Spy’Ranger will therefore markedly contribute to the gathering of frontline intelligence and to the protection of forces in operation. A mobile and digital support management system, based on Thales’s Smartfleet solution, that enables efficient execution and piloting of the Through Life Support’s. Fully adapted to frontline air-land intelligence missions in battlefields in hostile environments (climate, electromagnetic, physical, etc. ), the Spy’Ranger has been designed to optimize life cycle costs. The French Ministry of Defence has launched the Aster Block 1 NT (New Technology) programme aimed at modernising the Surface-to-Air Missile Platform/Terrain (SAMP/T) ground based air defence system as well as its associated Aster missile. The contract was notified by the French DGA (Direction Générale de l’Armement) to the EUROSAM consortium involving MBDA and Thales on 23rd December 2015. France’s Aster programme is led by the DGA with the support of OCCAR (Organisation Conjointe de Coopération en matière d’Armement), the European intergovernmental organisation for joint armament cooperation.